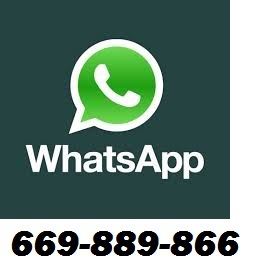 ¿EN QUE CONSISTE? 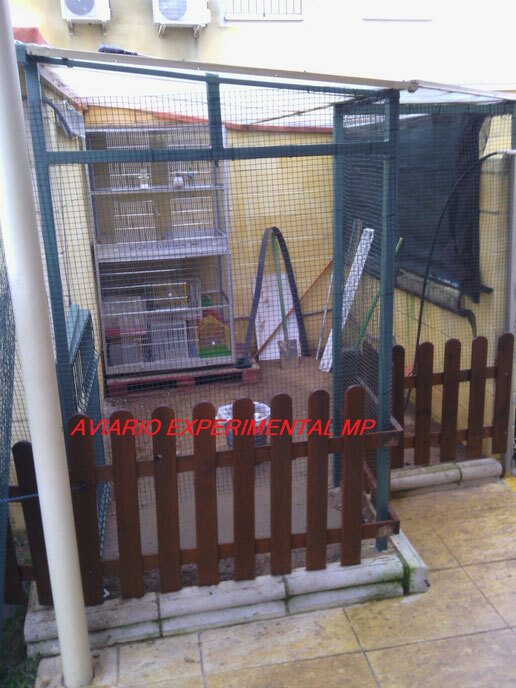 ESTA ORIENTRADA A LA CRIA EN CAUTIVIDAD DE CANARIOS DE COLOR DE LAS VARIEDADES NEGROS ROJO CON SUS DISTINTAS CATEGORIAS,QUE HAN SIDO PREVIAMENTE SELECCIONADOS,IDEAL PARA EL DESARROLLO DE POLLOS NUEVOS LOS CUALES PUEDEN DESAROLLARSE HACIENDO PEQUEÑOS VUELOS DENTRO DEL AVIARIO. 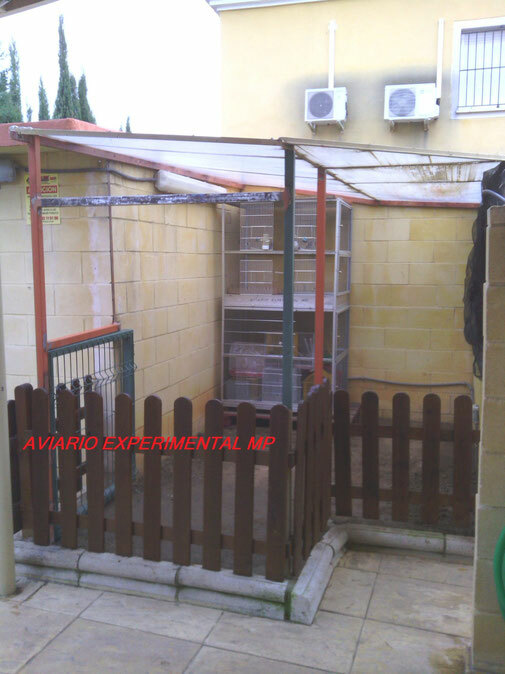 EL PROCESO DE ABITUARSE SUELE DURAR DE 8 A10 MESES.UNA VEZ PASADO EL TIEMPO DE ADACTACION PASARAN AL AVIARIO INTERIOR. 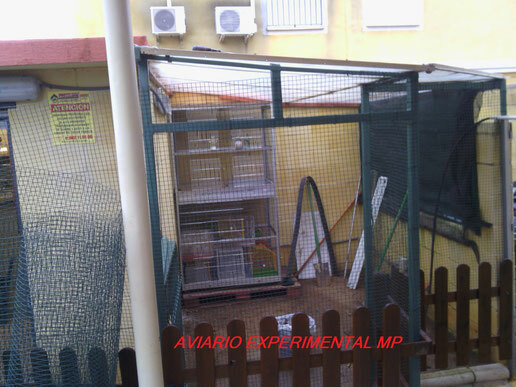 EL AVIARIO EXTERIOR ESTA PROVISTO DE: PLANTAS NATURALES,ARBOLES PEQUEÑOS,SEMILLAS Y UNA PEQUEÑA FUENTE DE AGUA PARA EL BAÑO,TODO ESTO PARA QUE SE ENCUENTREN LO MEJOR POSIBLE EN EL AVIARIO EXTERIOR.ESTE AVIARIO EXTERIOR ALVERGA EN SU INTERIOR OTRA VOLADERA MAS PEQUEÑA PARA MULTIPLES USOS. 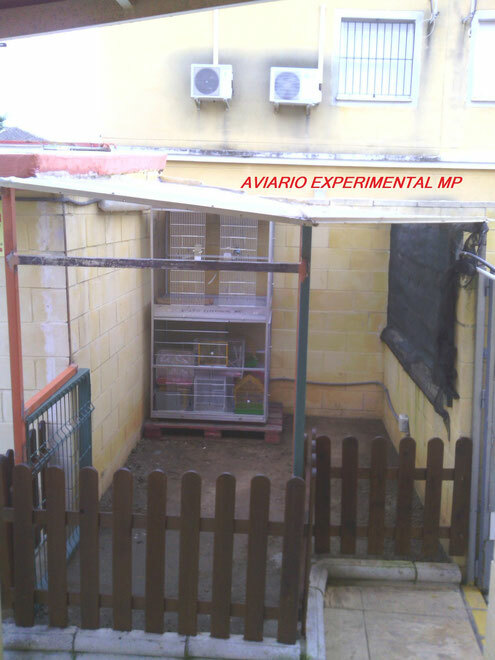 - EL AVIARIO EXTERIOR TENEMOS QUE TENER PRESENTE QUE LAS AVES NO PODREMOS CONTROLAR DIARIAMENTE,ASIN QUE PROCURAREMOS ASEGURARNOS DE QUE LAS AVES QUE SOLTEMOS DENTRO ESTARÁN DESPARASITADAS LIBRE DE PARASITOS TALES COMO PIOJILLOS,ENFERMEDADES Y QUE PUEDAN VOLAR PERFECTAMENTE. NO ES ACONSEJABLE SOLTAR EN UN AVIARIO EXTERIOR AVES QUE HAN PASADO TODA LA VIDA EN INTERIOR,EL CAMBIO DE TEMPERATURAS Y LA METEOLOGIA PODRIA CAUSARLE TRANSTORNOS QUE INCLUSO PUEDEN LLEVARLE A LA MUERTE. 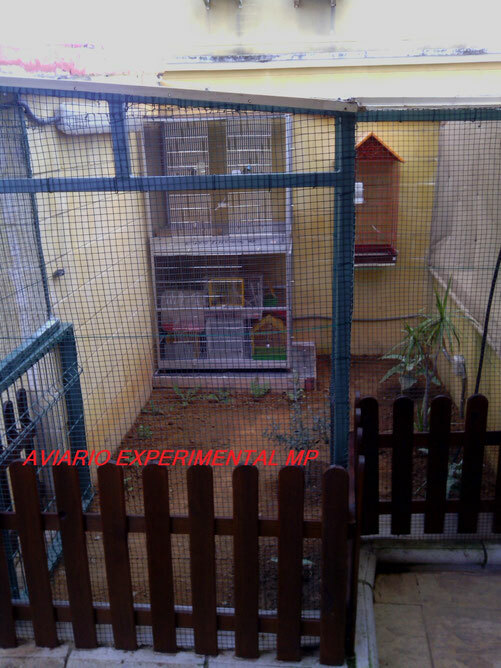 EL AVIARIO EXTERIOR LO DEBEMOS PREPARAR CON PLANTAS NATURALES,SANAS Y SIN PARASITOS Y PULGONES. 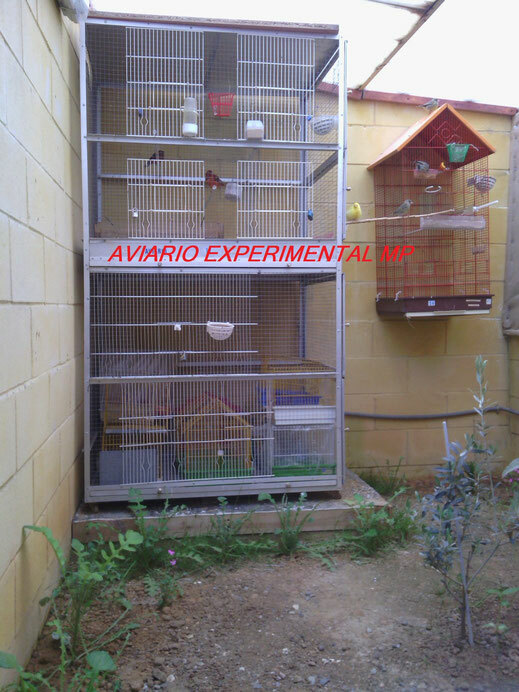 HAY QUE TENER EN CUENTA QUE LAS AVES SON MUY DADAS A PICOTEAR TODO LO QUE ESTA A SU ALCANCE,ASIN QUE USAREMOS PLANTAS FUERTES Y DE HOJAS DURAS,RESISTENTES A LAS PICADURAS DE LAS AVES. 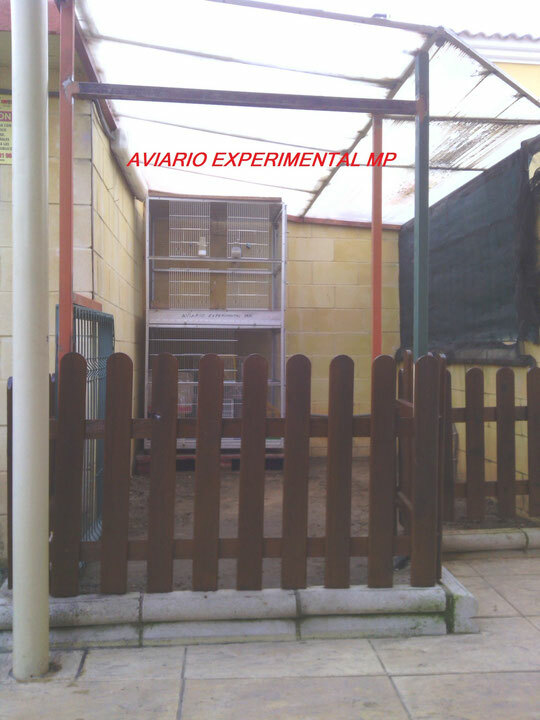 AVIARIO TERMINADO PARA INTRODUCIR LOS PAJAROS EN EL INTERIOR. 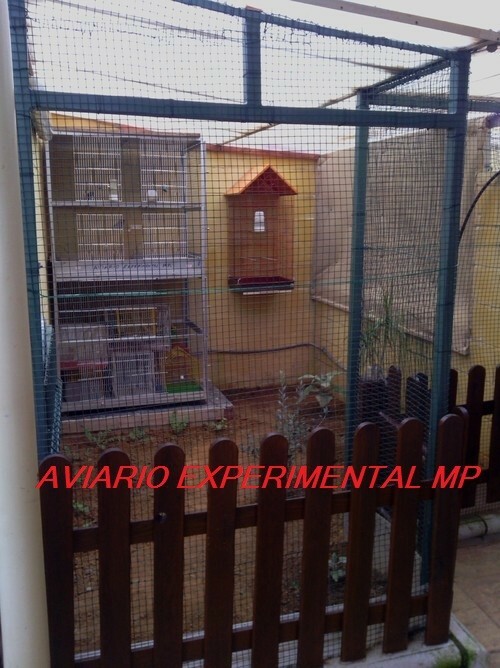 LAS PRIMERAS FOTOS CON LOS PÁJAROS EN EL AVIARIO EXTERIOR. ---¿COMO SE USA UN AVIARIO EXTERIOR PARA LA CRIA SIN HACER PAREJAS? ESTE METODO SE LE LLAMA "CRIA A LA LOCA"
-COLOCACION DE LOS NIDOS Y MATERIAL . SE DEBEN PONER SEPARADOS UNOS DE OTROS PARA EVITAR PELEAS DE DOMINIO ENTRE LAS PAREJAS,SE PONDRAN ALGUNOS NIDOS DE MAS PARA QUE SOBREN,YA QUE ENTRE NIDADAS DE UNA MISMA HEMBRA PUEDE CAMBIAR DE NIDO AL TENER LOS POLLO OCUPANDO UN NIDO Y EL MACHO CUBRILA DE NUEVO DESENBOCANDO EN UNA NUEVA PUESTA. 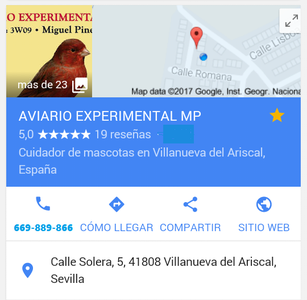 EL MATERIAL PARA LOS NIDOS PODEMOS PONERLO DENTRO DE UNA REDECILLA O EN EL SUELO DEL AVIARIO CON GRILL PARA EL BUCHE Y CALCIO RARA LA FORMACION DEL HUEVO. 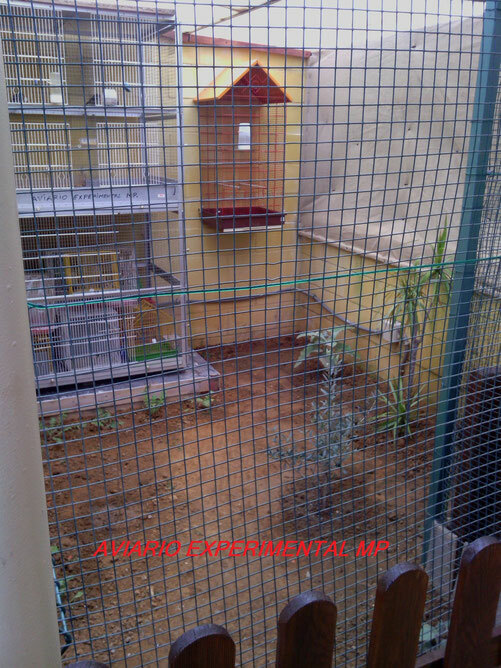 LA COMIDA LA PODREMOS EN COMEDEROS GRANDES O EN EL SUELO ALEJADA Y DEL AGUA PARA EVITAR QUE CAIGAN EN ELLA Y GERMINEN LAS SEMILLAS. 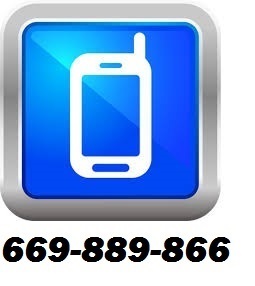 ¿CUANTA AVES HAY QUE PONER? SE METERÁN 3 HEMBRAS POR CADA 2 MACHOS. TENIENDO QUE SELECCIONAR TODOS LOS MACHOS A SER POSIBLE DE LA MISMA CATEGORÍA Y GAMA,SABIENDO QUE LAS HEMBRAS QUE METAMOS SE PUEDEN CRUZAR CON ELLOS.EL FALLO ES QUE NO PODEMOS CONTROLAR CON CERTEZA QUE MACHO ES EL QUE COPULA A LAS HEMBRA,YA QUE PUEDEN COPULAR A SU ANTOJO VARIOS MACHOS A UNA HEMBRAS...(POR EJEMPLO).